is it a bird is it a plane...no its SUPERJEW!!! All I'm seeing is the Superman logo on a Triforce in the process of growing arms. 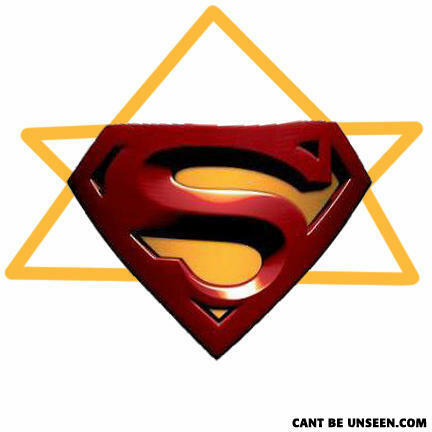 YES, cause everytime i see a jewish star i just have to draw the super man logo right in the middle.